There’s no way Santa could make it down so many chimneys without practice. 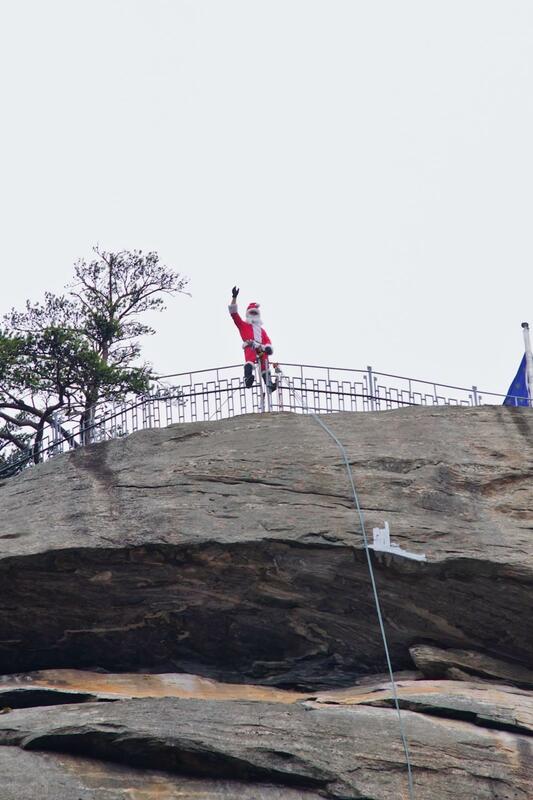 What better place to prepare for his Christmas deliveries and stay in shape than on one of the world’s largest chimneys at Chimney Rock State Park? Make your list and bring it to Santa and Mrs. Claus, enjoy live holiday music, hot cocoa, cookies and kids’ activities, meet live Park animal educators and more.